Even if you’re a seasoned traveler, chances are that you haven’t stayed in a cannabis-friendly hotel room—complete with its own ensuite vaporizer—nor taken a sushi, sake and joint-rolling class that puts two grams of marijuana at your fingertips. Colorado-based My 420 Tours not only specializes in these one-of-a-kind, legal cannabis experiences but also finds itself at the forefront of what has quickly become a lucrative, new travel sector. 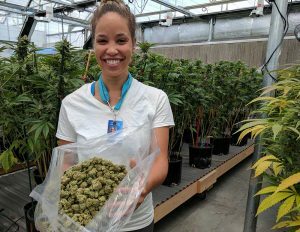 The legal marijuana industry in Colorado was estimated to be worth some $1.3 billion last year, earning approximately $200 million in tax revenue for the state. What’s more, in 2016, the Colorado Tourism Office announced a record number of visitors (77.7 million) who spent a whopping $19.1 billion. Were most of these tourists trying to get high in the Mile High City? Probably not, but in four short years, Colorado’s cannabis tourism industry is surely catching fire. Danny Schaefer, co-founder and CEO of My 420 Tours, shares the highs and lows of building a tourism brand in an emerging industry. What were some of the challenges of building My 420 Tours from the ground up? We always knew people wanted to travel to Colorado and be the first to come experience legal cannabis, but in the early days nobody knew how to do it or where to go. Even the State of Colorado couldn’t target these cannabis travelers, nor did they know how to handle them. Our founder JJ Walker launched the nation’s first true all-Inclusive cannabis experience and had a successful proof of concept. The motivation and the challenge was building a business that can meet the demand. So in May of 2015, I joined as COO and applied my corporate experience to help scale the businesses systems, technology, operations and procedures to increase our overall capacity in all aspects of our business. How has your tour business changed from when you started to today? Dramatically! 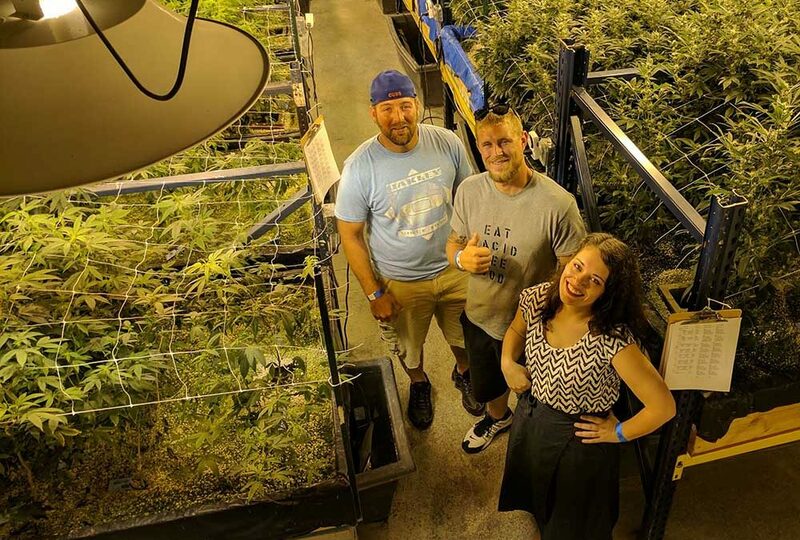 Back in 2013 and 2014, we were blazing trails in a brand-new industry—legal recreational cannabis—running just one tour a week and booking rooms at one 420-friendly hotel. Nowadays, we are running roughly 17 experiences per week and booking rooms at 14 nationally known hotel chains, servicing thousands of guests per month. Our social media and content syndication are pumping out articles and videos that attract millions of views per month, just proving the growing demand for cannabis experiences and content. What are the biggest challenges that your company is facing right now? From a marketing perspective, one challenge is reaching the mainstream travel market. We’ve gotten no buy-in or acknowledgment from public tourism offices at the city- and state-level. TripAdvisor won’t list us. The biggest OTAs—such as Expedia and Viator—won’t work with us either. Paid advertising platforms, such as Facebook and Google, won’t publish our ads. So how do we reach travelers who don’t already know about cannabis experiences but might be interested? I think we’d need to see legalization—or at least rescheduling—of cannabis on a federal level before the big guys will work with us. From a policy perspective, laws are changing all the time. It keeps cannabis-specific lawyers in Colorado very busy! One regulation we always run up against is social use. States are legalizing recreational weed without offering any venues for consuming outside of private property. What happens when more states pass legalization for recreational cannabis? Will you lose your edge with tourists? I see the legalization movement more as an opportunity than a threat. As states embrace legalized recreational cannabis, the landscape will start looking more and more like the beer and wine industries—which are huge, mature and have strong tourism appeal. Just as people seek out local brewery and winery experiences, cannabis enthusiasts will be on the lookout for behind-the-scenes access. What’s next for 420 Tours? We’re riding the wave of recreational legalization to new destinations. When we expand, experiences will pivot to insider access, classes, workshops, weed-enhanced events and even upscale pairings of cannabis with activities and meals. We’re testing the waters in Las Vegas, where recreational dispensaries opened their doors this summer, and also in California, which will go recreational-legal on Jan. 1, 2018. One of our goals has always been to mainstream cannabis by making it approachable to everyone through education and life-changing experiences. And if we do our job well, we hope our clients will proudly share our cause with their parents, friends, co-workers and regulators. Learn more from My 420 Tours—in Las Vegas! To learn more about building a new business in a budding industry, see Danny Schaefer speak alongside other trailblazing entrepreneurs during the Big Voices general session at Arival – The In-Destination Event. Arival will be taking place at The LINQ Las Vegas October 11-13.